I use lavender, tea tree, eucalyptus, rosemary and roman camomile essential oils, but you could also add food grade essences to including vanilla, lemon and almond. Like this craft? Then my not register to follow us on Frugal and Fun. We are going to be releasing an e-book full of frugal ideas to keep you and your children happy over the summer holidays. Do you love or loath the summer holidays? I am in the love camp, but I do remember the time when my boys were both smaller that I dreaded them and the thought of six weeks (or more) straight with them sent me in to a tailspin. This year you need worry no more, as we have an e-book on the way out which will show you frugal and fun ways to get through the summer holiday. It begins with a week of preparation activities to help you get ready for the weeks ahead. The e-book will contain a recipe, an indoor activity and an outdoor activity each day within themed weeks. These activities are suitable for 3-10 years olds. 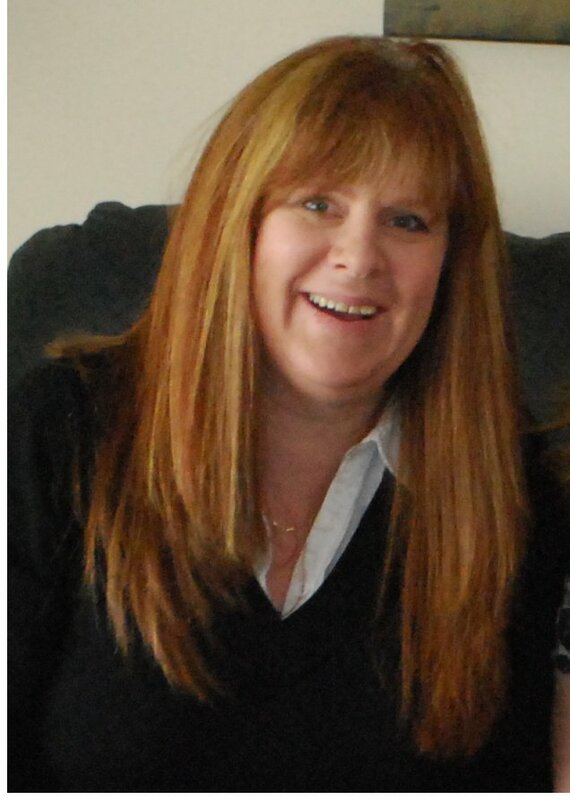 Guest Post: Happy Mother’s Day – to Me! 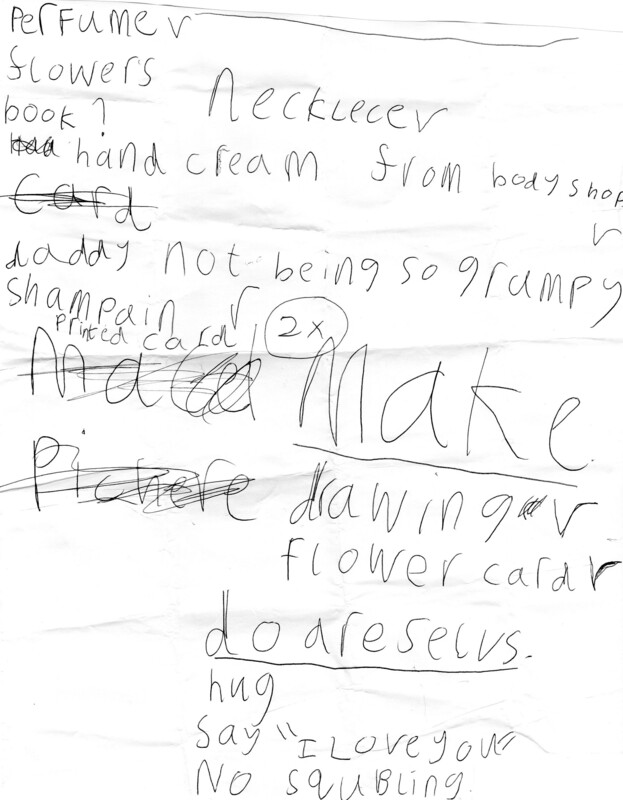 Today’s guest post comes from Actually Mummy which is written from the view point of a 7 year old school girl. Mother’s Day is one of the most important days of the year - third only to Christmas and my own birthday. School has been prepping me for this happy day for several weeks now. Each afternoon has seen me returning home with an additional line under my belt to the celebratory song which begins ‘My Mum’s ever so special…’. 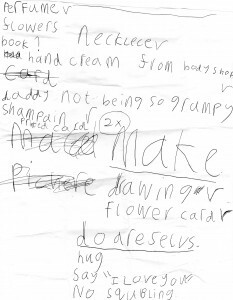 I have had a home-made card in my book-bag for a good few days; the strain of keeping it hidden through the daily bag searches that Mummy performs has been almost unbearable. I have spent several nights unable to fall asleep before 9pm and wide awake by 6am, such is the excitement and anticipation of this big day. So an element of forgiveness for my pre-Mother’s Day antics must surely be allowable. Just as toddlers on Christmas night may be absolved of their sugar-fuelled, exhaustion-led misdemeanors, so I feel I am deserving of some leniency regarding my own lapses in conduct in the lead-up to the momentous occasion. I admit that I have been less than amiable in my dealings with the Bug this week, and my fuse has been generally rather short. Last year all this culminated in a rather unsatisfactory shopping expedition with Daddy. Having taken the time to prepare a comprehensive list of necessary purchases I systematically dragged him round the shops. He obliged with cash or credit as we progressed, until we got to the flower-buying stage. It being late in the day the floral offerings were very sparse, and my preferred bunch were looking a bit ragged, and Daddy put his foot down. Cue dramatic meltdown. This sparked a strop from Daddy. The ensuing phone call to Mummy was a mixture of gasping sobs and valiant explanations, but the scene was set; all of Mummy’s best parenting tools were required to diffuse both of our tantrums! The best gifts are those that can’t be bought. Accordingly we made a rather generous fuss of her on her big day. Real coffee in bed, the opportunity to read me the next chapter in my book, a lovely breakfast, some cool gifts (I have a knack for picking out great jewellery) and the instruction not to stand up all day. Additional to the purchases were the home-made offerings which had her in tears, and the other entries on my list, less tangible but all the more poignant for that. Seemingly the thing that Mummy values above all else is a harmonious home, with happy people doing nice things together. And hugs. And shampain. This post is dedicated to all mothers, and to those who have loved them. Guest Post – Does The Role of ‘Mommy’ Disappear as the Children Grow Up? Our theme for this months guest posts is Motherhood. Our first post comes from Catherine at Catherine’s Thoughts. Today I took my 22y ear old daughter out for a latte after her dentist appointment. We were basically wasting time before I was to drop her off at the bus depot. See, she attends college in another city so I am lucky if she returns home the odd weekend. I am spoiled this month because she came home for her father’s birthday, then a dental appointment, and next weekend an orthodontist appointment. But I digress, I didn’t realize the whole significance of the latte visit until I arrived home without her. My dear husband believes I over think things, yet having a latte with one’s 22 year old is like having a latte with a friend, and that is the scary part. My daughter is all grown up, and chatting with me like a friend. I am not ready for this, I want to be a mommy still. It’s weird, when we are at home having a coffee in the living room, she is still my daughter but at the coffee shop, she somehow becomes a friend. I don’t know the meaning of this. All I know is that I still want to be a mommy. So I ask, does the role of ‘mommy’ disappear as the the children grow up? 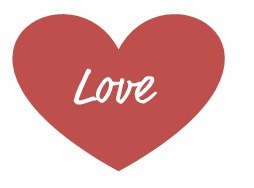 Last month we had an amazing selection of guest posts on Love. As Mother’s Day is this month, March’s theme is Motherhood. We want posts on all aspects on Motherhood, your journey, your mother, what it means to you, recipes or craft ideas for Mother’s Day. Do you have what it takes to be a Proud Parent Ambassador? Find out more. Follow us on Twitter or come and join our page on Facebook. This is our last guest post on the theme of love and it actually feeds in really nicely to our theme in March Motherhood. Kelly is a mother of two and writes at A Place of My Own. One of the real breakthrough moments for me in my journey with postnatal depression over the past few months was when I realised that Kate and the depression were two very separate things. Yes, the fact that Kate had colic, and was a difficult, angry, feisty little baby was hard, and didn’t help but even if she had been quiet and placid and sleepy I would have still felt the same. More sleep would have made a bit of a difference but the anxiety and roller coster style ups and downs would have still been there. After I had Piran it took me a long time to bond with him in the way I had expected to immediately. I have always put that down to the scare of him being in Special Care just hours after birth and the fact that I held back, didn’t want to love him until I knew he would be okay. I know I have written about this before but somewhere along the line I fell deeply in love with my little boy and suddenly I understood what everyone else had been going on about. Then we had Kate. And yes, I felt happy and elated when I had her, and walking out of the hospital on the same day was just amazing. Then I got home and realised that I had no idea how to look after a newborn baby even though she was my second as for the first week with Piran most of it was handled by the SCBU nurses. Then she started crying and didn’t really stop until she was nearly five months old. I am not sure how we made it through that time. I know for sure that it wasn’t easy and that we are still getting over it. I was so focussed on getting through each day and trying to make our baby girl as happy as I could that I didn’t realise for a long time that I didn’t yet have those feelings. I would have done anything for her from the minute that she was born but it never seemed natural. I was up in the night with Kate two days ago and as I stood in her room, holding her, rocking her, murmuring into her ear with her hair tickling my nose as I placed tiny soft kisses on her cheek I suddenly felt it. That point deep in my belly that makes me feel like hugging her and holding her all the time. Pride and love and bubbles in my stomach that feel like they burst when I hear her laugh. So much love I am not sure what to do with it. I wonder now if this is just my way. That I am a slow burner when it comes to these things. Now that it has happened twice I am not so concerned at all. In a way this delayed reaction helped me get through the last few months. I have trouble hearing Kate cry at all these days but in the beginning I had to listen to it for hours on end. I have always been happy to leave my children with their dad, or grandparents or at nursery and walk away and have me time. Perhaps this delayed reaction really helped with that (and in turn helped me keep my sanity). Or perhaps it is just as I have suspected that I am not really a baby person at all. 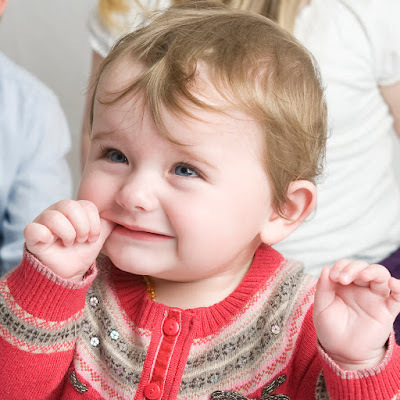 Obviously I liked my babies but now she is nine months old and can interact with us, shout and laugh and clap and follow me it is nothing short of amazing. I always say that I don’t want to wish her baby days away but actually I suspect I really do! I am fairly sure that this is my last baby, and if my theory is correct, and babies are not my thing then I shouldn’t be getting broody round any newborn babies any time soon. Mind you, if you see me looking wistfully at toddlers can you remind me how much I really love sleep? 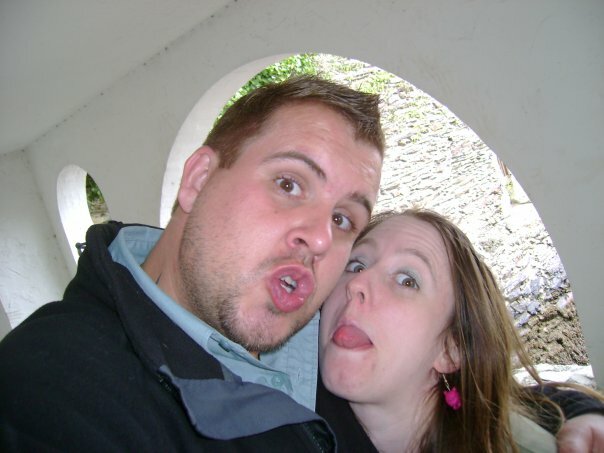 Today’s amazing Guest Post is from T-J. “Their devotion showed me that there were not versions of love. There was only love. It had no equal and it was worth searching for. Even if that search lasted a lifetime.” Nurse Jenny Lee talking about the love of brother and sister Frank & Peggy in Episode 5 of Call the Midwife. This has reminded me of the love my Nan and Grandad shared. Their story is so sad really, but proves Jenny’s assertion that love “is worth searching for”. We’ve never heard a lot about how they met, or courted. But from how Nan talked about it, they knew they loved each other from early on. They married and had a daughter. The war started, and as Grandad worked in a garage, he was one of the men that stayed home. He was also an Air Raid Warden, and I can’t begin to imagine what that was like. They lived in Bishop’s Stortford, Hertfordshire, so often had bombers coming over on their way to London. Scary. 7 years after my Aunt was born, my Dad arrived. And another few years later, his youngest sister came into the world. There are all sorts of stories about what happened around this time. And Nan never really talked about it. But the basic thing was that Nan didn’t want any more children. She intimated that her 3rd was a mistake. I imagine that it wasn’t easy finding enough food for everyone. Nan had been brought up on an estate – her father being the Head Gardener at a large family house. She was used to having fine things, and having enough good food to eat. My Grandad strayed away from home. It must have gone on for a while, before he finally left. But my Dad says he was 4, meaning his younger sister was a baby. I guess Nan was bitter. She struggled to keep her family together, when others encouraged her to split the children up. Her children don’t describe her as a happy person. But she certainly loved them. And my Grandad. She refused to allow him a divorce, so he couldn’t marry his mistress until the laws changed in the early 1970s. She kept hoping he would come back. She kept a strong Christian faith throughout her life, and was ready to welcome him back, despite his behaviour. They led separate lives, and it sounds like the family were kept apart by other parts of Grandad’s family. It was one of those things. Who knows what may have been if people hadn’t interfered? When Grandad’s second wife died, he moved to be near his 3rd daughter, which was only 10 miles away from where my Nan lived. I’d always known all my Grandparents, and my Dad had re-met his Dad when he was 21, having not seen him since he was 4 years old. I achieved my Queen’s Guide and we were having a big party to celebrate, (any excuse!). I HAD to invite my Grandparents didn’t I? I couldn’t leave one out. They’d all supported me through my life. So it happened. Nan and Grandad met for coffee before our party. When I was 18, they were both in the same room at the same time. It was amazing. And yes, you’ve guessed it – they got back together. Grandad tried so hard to make amends with Nan. It started with him doing odd jobs around her house. But they then decided to get married to cement their relationship again. Such a happy occasion. Grandad’s youngest daughter described her Dad as “never being as happy” as when he was with Nan. Nan mellowed. She wasn’t as hard from then on. She’d got her one and only love back. They’d found each other. They hadn’t had particularly happy lives apart, but together they’d created 3 children. They’d had fulfilling lives. Together they were happy. Love truly won out and was worth waiting for. It’s so sad that my Grandad died unexpectedly 6 months after they re-married. But Nan still loved her man, and talked about him in a different way. She loved him and her God until the end. Love IS worth searching for. Even if it does take a lifetime and doesn’t last long. I wish you ALL the love in the world. May your search be short, and LOVE make you happy. Founder of the Bra Lady Network, & online shops bras4mums & bras4all. The first Valentine’s gift my husband, my then 19 year old boyfriend bought for me was a 6ft cuddly toy dog. Anyone who knows me well, will know that I am not a 6ft cuddly toy dog kind of girl. Before he gave it to me, he showed it to my best friend, who has a wry sense of humour and asked her if I would like it. She told me afterwards, she could barely contain herself at the thought of my face when I saw it, so she told him I would love it. I still ask him to this day ‘what were you thinking?’ and he doesn’t know. It’s still in the loft, and when I see it 15 years on, I am still stunned by it. So after that, I never got a Valentine’s present and I was happy with that…I told him we won’t be bothering with gifts unless it was flowers to work (what girl doesn’t like that?) or if he was whisking me on a surprise romantic trip away. That never happened but there is still hope. Aside from that, I think I have been really lucky in love and found my soul mate, who always puts me first. And he makes me laugh a lot. Never thought I would or could ever love anyone as much as him. Fast forward to 14th February 2008 and I gave birth to my son, Seth and that was the day I learnt about what real love was. It was an uneasy time towards the end of my pregnancy as I had pre-eclampsia and I was in and out of hospital. There was a lot of worry floating around in that delivery suite as I was quite ill but when I saw him, that rush of love when I saw and cuddled my precious little man was just something I cannot and never could put into words. So Valentine’s Day has another dimension now, one of celebrating the day I really truly and utterly fell in love. And not with a 6ft toy dog. 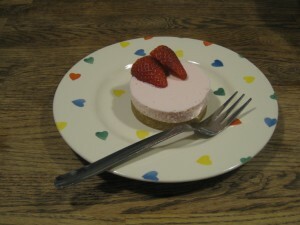 Today’s Guest post if from Liz and she is sharing her Super Simple Puddings. I’m sharing with you my ‘cheat’s recipes’ for super simple puddings that work really well after a family meal, or can be glammed up for a special dessert. The measurements I’ve used here are to make 2 individual portions of each recipe, but just double the ingredients if you want to make a family sized dessert – use a loose bottom cake tin. I’ve used chef’s rings, or rather I discovered chef’s rings were about £2 each to buy, so I bought some plain round cookie/cake cutters for a third of the price which work just as well. I’ve also heard you can use small empty tins (such as tuna tins or small baked bean cans) with both the top and bottom removed, although be careful of the sharp edges! You can remove the desserts by running a knife around the inside edge to loosen first, or if you’re not feeling brave, line with tin foil before filling. If you do this, you may need to smooth the edges with a pallet knife afterwards. Melt the butter in a saucepan and add to the biscuit crumbs. Stir until they are completely coated, then firmly press mixture into the base of your tins. Refrigerate for an hour to set. Smooth a layer of caramel over the biscuit base and return to the fridge. After about 10 minutes, place slices on banana on top of the caramel. Next, whisk together your cream, milk and banana whip. Work quickly or the mix will start to set, and the banana will turn brown. 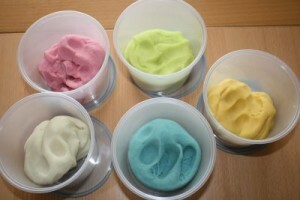 Smooth the cream mixture on top of the fruit slices and return to the fridge to set. 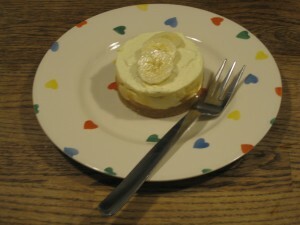 If you want, decorate with piped whipped cream, additional slices of banana and chocolate shavings just before serving. 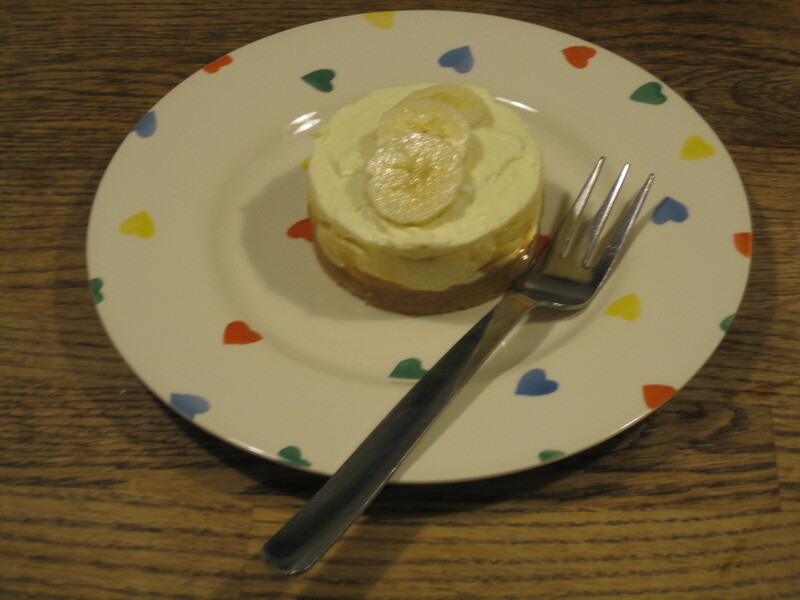 Whisk together the dessert mix, milk and cream and spread over the biscuit base. Refrigerate again to set. Remove from tin and decorate if desired with whipped cream and fresh strawberries. *costs are based on supermarket economy rate products where possible. Liz Burton blogs at missielizzie-meandmyshadow.blogspot.com and can regularly be found shirking housework on Twitter @missielizzieb. A blogger, and full time mum to a 3 year old girl, Liz writes about a variety of subjects from parental woes and joys; to craft activities (both for adults and children); days out, family budgeting and her regular link-up Magpie Monday showcasing the wonderful world of second-hand finds. I can still remember the first time my husband told me he loved me. It was one Sunday evening, a month into our relationship, and I was lazing on my settee in the little almshouse I was renting. Earlier that day I’d hired a film from the local video shop (yes, videos – remember them?!) and was by now part way through watching it. My boyfriend – as he was then – called to see if he could come over and upon arrival, I adopted his knee as a resting place for my head and we watched the remainder of the film together. With hindsight, he must have been bored stupid. We have very different tastes in films. He loves a film that makes you think, or a good mystery thriller, whereas I have a penchant for action films with lots of fight scenes and explosions. You probably wouldn’t guess it was that way round if you met us in real life! Anyway, although it was getting late when the film finished, we decided to watch “The Gift” – a spooky mystery thriller starring Cate Blanchett. In all honesty, our decision was motivated more from a want to stretch out our time together before boyfriend had to go home than from any burning desire to watch it! I felt myself slipping into a light doze as the evening wore on, and as boyfriend stroked my hair and cuddled me close I heard him say, ever so quietly, “I love you”. In my head, I froze. Did he really just say the “L” word? I wanted to say it back but wasn’t it too early for that? after all we were only a month into our relationship. Is it really possible to fall in love that quickly? I feigned sleep and said nothing but that night, and the next day at work, my brain replayed that moment over and over again. When I was younger, I wanted to find my soulmate and have my “Happy Ever After”. I believed in love at first sight and that sometimes, when it comes to relationships, you just know. I suspect there are, or were, many others out there who felt the same way; did you? With a bit more age and life experience behind me, I still believed in those things, more or less, but I also knew the heart can be a bit of a trickster, encouraging you to jump in with both feet when a bit more caution would have been better advised. Was this one of those situations? I’ve written about how I met my husband in this post here; about the instant connection I felt when our eyes met and the way it seemed the universe had conspired to throw us together. This was one of the things that helped me see to the heart of the matter. Yes, it probably was too soon for declarations of love but there was no denying it; for us, we were in love. He loved me and I loved him back. I just had to tell him. It’s now 9.5 years and 2 children later. I tell husband I love him at every opportunity. According to the song, we were fools who rushed in but time is telling a different story and I wouldn’t want to rewrite any part of it. I’m Rhiannon and I’m 34 years old. I’ve been married to “Husband” for 3.5 years and together we have “Toddler”, a just turned 2 year old, and “Baby” a 7 month old. I started blogging in November 2011 as a way of trying to reclaim a little bit of time and space just for myself. Although I love being a mum, I feel I’ve lost my identity along the way and my blog is helping me to rediscover myself. So far, it’s been a harder journey than I anticipated, especially now that postnatal depression has reared its ugly head. I blog about anything and everything that may pop into my mind with a healthy dose of my biggest pre-children passion, Buffy the Vampire Slayer, thrown in for good measure. It may take time but just like Buffy, I’m on a mission to become A Hell Of A Woman. We are looking for Guest Posts for February and because its Valentines Day on the 14th the theme is Love! We want to know who and what you Love. The post can be about your children, your partner, food, music, books. Whatever you love tell us about it. We will be posting them throughout the whole month. Don’t miss a post – click on the tabs below! receive notifications of our new posts by email.